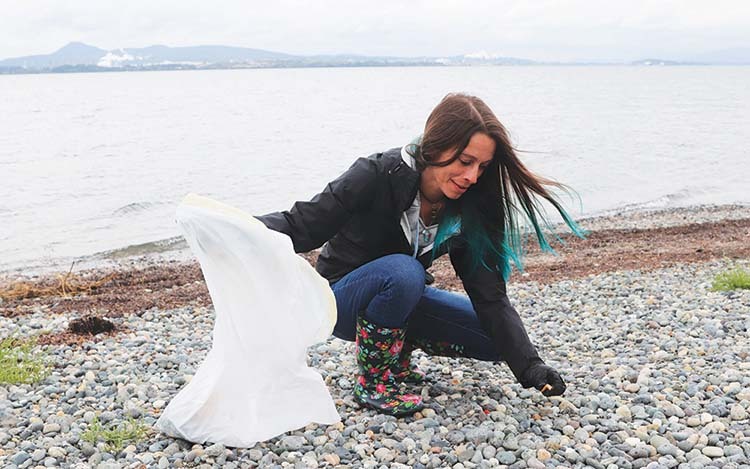 Jessica Janes helps clean up the coast. The traditional Tulalip story, the Seal Hunting Brothers told by Martha Lamont, is the story of two young Tulalip men who lived at Priest Point. The brothers would travel the Salish Sea hunting for seals, salmon and shellfish for the entire community. The brothers prepared and delivered plates of fresh seafood to the elders as well as to their sister and her family, informing their sister to save some food for her husband, who was a carver and often away from home. The sister, however, disregarded her brother’s advice and distributed her husband’s share amongst herself and her children. When the carver returned home, there was no food in sight. He asked his wife if her brothers dropped off any food for the family while he was away, to which she replied no. Upset at this news, the carver constructed a lifelike seal carved from cedar and enchanted the structure with magic to trick the brothers. They took the bait. The brothers harpooned the cedar seal statue while on a hunt and were pulled deep into the ocean only to wash ashore days later, miles away from home. Realizing what their brother-in-law did, they began their long journey home where they were presumed to be dead. Upon their return to Tulalip, the brothers shared their story with their family and decided because of the complexities of the situation, they should live away from the tribe. They chose to begin a new life upon the waters that long provided food for their community, the Salish Sea, and became killer whales. Their descendants are said to be the southern resident orcas that still frequent the Salish Sea waters searching for Chinook salmon. 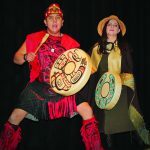 Similar stories of the brothers are shared within Indigenous communities all along the waterways of the Salish Sea, comprised of the waters now known as the Strait of Juan de Fuca, Puget Sound and Strait of Georgia. As the story goes, the brothers chose to stay close to home and often provided seafood to the Coast Salish peoples in times of famine. 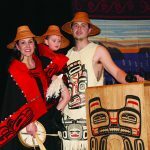 The story teaches many important values of the Northwest tribes as well as explains our strong connection with the orca, who is often honored within the culture through stories and artwork. The southern resident orcas are intelligent, sociable mammals who share a lot of the same values and traditions of the Coast Salish people. 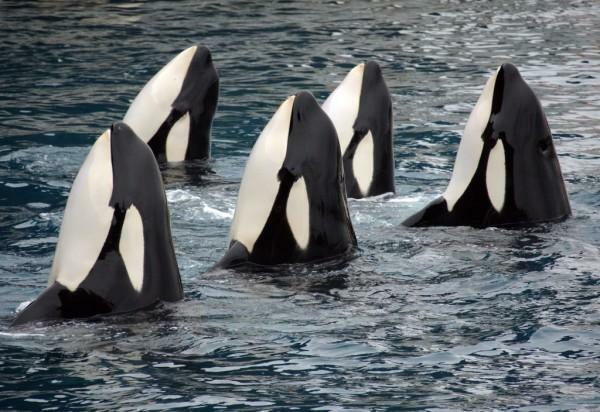 For instance, the southern resident orcas are known to perform ceremonial practices during social gatherings when all three pods, J, K and L, meet up, which is known as a superpod. The most recent superpod was held last week in the waters near Vancouver Island where footage of the gathering was caught by the locals and tourists of Victoria, British Columbia. The orcas also travel with the same pod for their entire life, relying on each other’s strengths within a multi-generational family, much like many Native communities. Another similar interest we share with the orcas is our love for salmon. 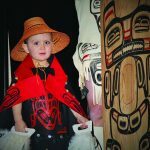 The importance of salmon to Coast Salish people has been well documented over the years and is integral to each tribe’s way of life. The tribes of Washington State were guaranteed fishing rights when signing the treaties with the United States Government in exchange for land. Since the Fish Wars, the Boldt Decision, and even up until today, tribes exercising that right have been met with a number of challenges. Over recent years, the salmon population has seen a dramatic decline. A number of manmade dams and blocked culverts are preventing salmon from swimming upstream during spawning season and less salmon are returning each year. In fact, many tribes opted not to fish this season in hopes more salmon will spawn and increase salmon population. Pollution remains another constant concern for aquatic life in the Salish Sea with chemicals and waste pouring into the waters from storm water runoff and local ferries traveling the straits. The lack of salmon has caused tribes to stray from their traditional diets and therefore more tribal members are faced with health concerns. The same can be said about the southern resident orcas. The lack of salmon and polluted waterways caused some serious health concerns for the whales including reproduction. The orcas are crying out for help. This past summer’s heartbreaking story about southern resident orca, Tahlequah (J35), carrying her dead newborn calf for seventeen days on a ‘tour of grief’ caused tears across the entire nation. And the recent proclamation of Scarlet’s (J50) death is further evidence that we need to take immediate action. In the sixties and seventies, a third of the southern resident population were hunted at a young age and held captive at marine life amusement parks like SeaWorld. Orcas often live well past their eighties, but unfortunately all but one of the orcas captured have died at a young age. Tokitae, the last remaining poached orca, resides at the Miami Seaquarium and the Lummi tribe has been fighting for years to return the whale to the Salish Sea. As a result of starvation, theme park poachings and pollution, the southern resident orcas were placed on the endangered species list in 2005 after a significant drop in population of nearly twenty orcas over the course of a decade. Since then, the number of orcas has been steadily declining. With the passing of Scarlet, only seventy-four orcas remain. Because of the recent news, Washington State Governor Jay Inslee established a southern resident orca task force whose main focus is orca protection and recovery. Members of the task force include representatives from Washington state, a handful of tribes and the National Oceanic and Atmospheric Administration (NOAA). The passing of both J35’s calf and J50 is opening up an important conversation about respecting Mother Earth and taking care of the environment. More and more citizens are participating at rallies in support of the salmon and orca such as the Festival of the Steh-Chass in Olympia and the Salmon Celebration in Seattle. 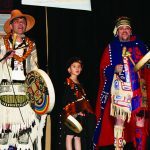 The most recent effort united over thirty communities throughout Washington state and British Columbia. September 15 marked International Coastal Cleanup day, where seaside communities participated in clearing their local beaches of any trash or harmful products. Communities of the Salish Sea, along with a number of non-profits like 350 and the Orca Network, banned together to tailor International Coastal Cleanup day to the Pacific Northwest communities by organizing Salish Sea Day of Action, which provides information and resources about the state of the Salish Sea, the southern resident orcas and the salmon habitat at the cleanup events. Citizens of Tacoma, Port Townsend, Edmonds, Shoreline, Bellingham, Lopez Island and Mount Vernon, as well as Victoria and Vancouver, gathered in their respective hometowns to clean the beaches, offer prayer, honor and thank the water for its plentiful resources on the rainy Saturday morning. 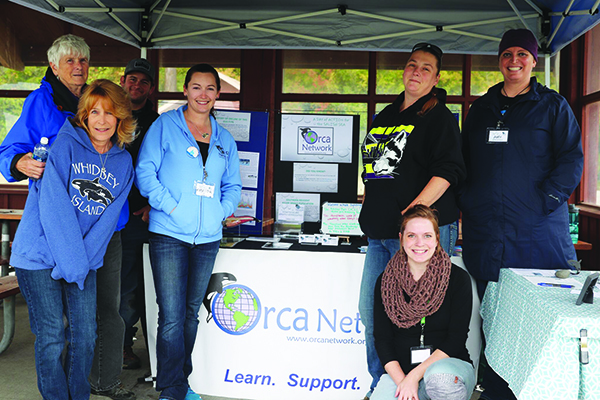 The Orca Network event attracted many participants and the sands of the Bayview State Park in Mount Vernon were trash free in no time. During the cleanup, attendees passionately spoke of protecting the environment and the southern resident orcas. Tulalip tribal member and Water Protector, Kayah George, hosted a prayer service the day following Salish Sea Day of Action where she shared spiritual and cultural teachings about the water during Sunday worship at the Woodland Park Presbyterian Church. The number of supporters at the Salish Sea Day of Action events shows that people are beginning to listen to the calls for help by the beautiful coastal killer whales. And through a combined effort, we can all make a difference in protecting the orcas by restoring the salmon habitat, and that begins with the removal of dams, culvert repairs and environmental awareness. To stay up to date on the southern resident orcas, please visit www.OrcaNetwork.org or check out the Department of Ecology at www.ecology.wa.gov to find out more about the Orca Task Force, Salish Sea spills and cleanups, salmon recovery and upcoming meetings and events. Museum Director Patricia Cosgrove sits with “Super Ken” mannequin by Bill Holm. Thirty years ago, you couldn’t find a map using the term “Salish Sea” for the Puget Sound region. There were Seattle galleries and t-shirt shops aplenty selling Northwest Coast Native art, but the masks, totem poles and sinuous formline animal prints were designs from hundreds of miles away, not from here. Thirty years ago, no major art museum in Washington had mounted an exhibit highlighting Native created works of our own lands and waters. Artists were indeed working – Musqueam visual pioneer Susan Point was making innovative prints based on ancient carved designs. 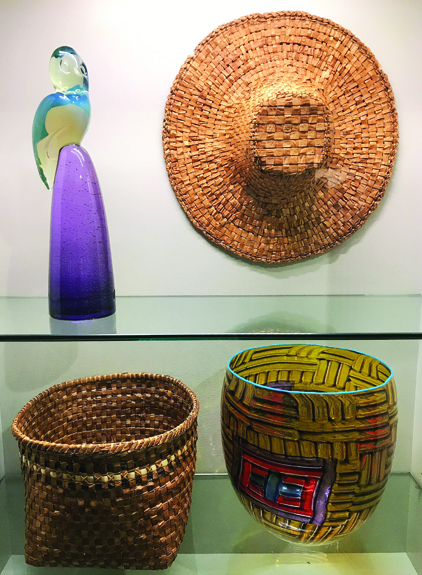 Ron Hilbert was painting bold scenes of spiritual practices and Lummi weavers Bill and Fran James were making sumptuous blankets and intricate baskets. But the critical interest and most gallery attention was focused on art from the Canadian coast. Painting of a ceremonial smokehouse dance from 1989 by Ron “Chadusqidub” Hilbert (Tulalip and Upper Skagit). In 1989, the balance started to tip. Washington State’s Centennial exhibit of Native arts opened, managed by Patricia Cosgrove (now Director of the White River Valley Museum) with Kenneth Watson as part of the exhibit staff. Both art historians were on a mission to convince Seattleites that totem poles are not indigenous and that Salish art in all its creative branches is. The exhibit was incredibly successful, and soon many influences aligned to literally change the landscape of the Native art market. 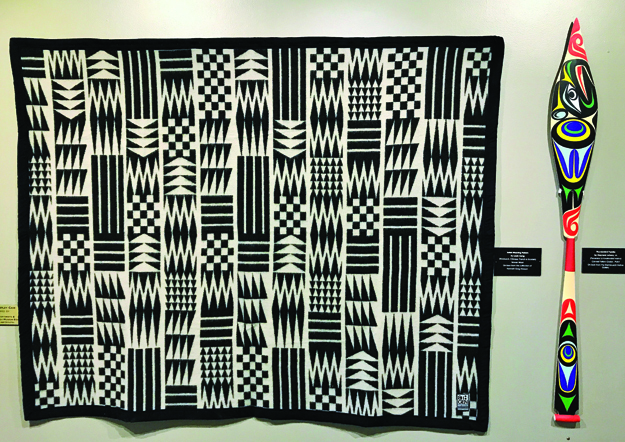 Ever since, both Cosgrove and Watson have worked hard to see the word ‘Salish’ enter the mainstream vocabulary, and to insure that the characteristic sweeping lines and subtle patterns of Salish arts become recognizable and emblematic of the Seattle area. 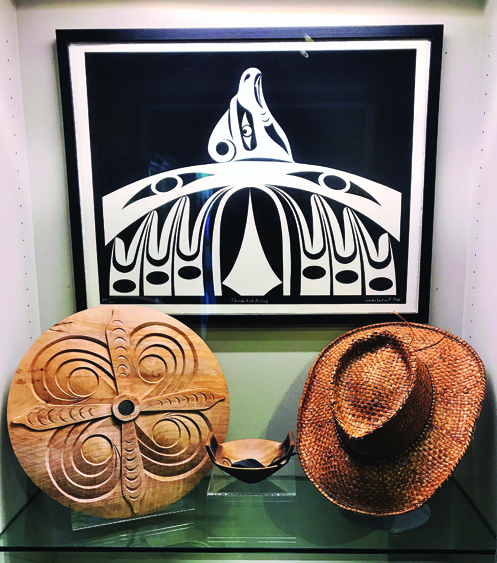 That innovation and creativity of Coast Salish artistry is currently on full display at the White River Valley Museum, located in Auburn only blocks away from the Muckleshoot Reservation. Inside the museum mounts an unprecedented six-month-long exhibition titled Salish Modern: Innovation Art with Ancient Roots. 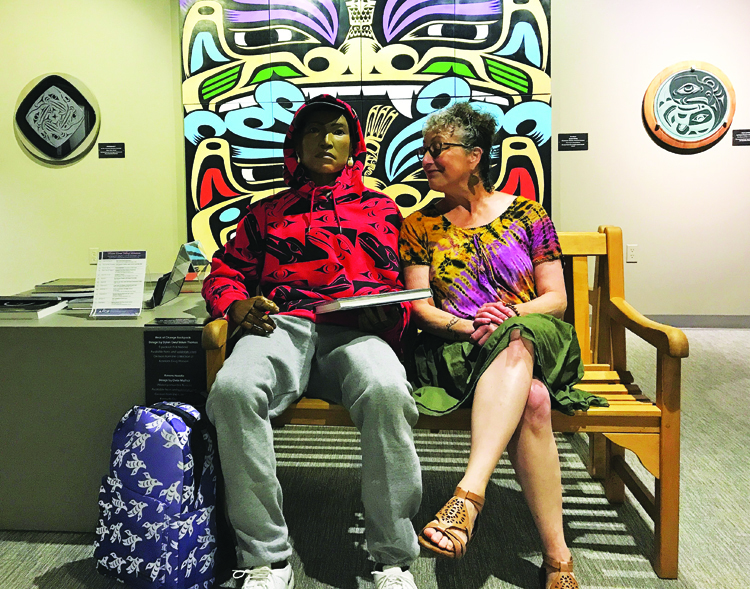 “I’m really thrilled that we have works from artists who are rock stars in the Native art world, such as Louie Gong (Nooksack), Susan Point (Musqueam), and Shaun Peterson (Puyallup),” states Patricia Cosgrove, Museum Director and Salish culture enthusiast. “People are surprised when they see the ancientness of the tradition and then recognize the elements of it all around them in these very modern pieces. This is a perfect exhibit to celebrate this vital, fabulous modern art world. Salish Modern: Innovation Art with Ancient Roots will be on display through December, 17. The exhibit is supported in part by the Tulalip Tribes Charity Fund. 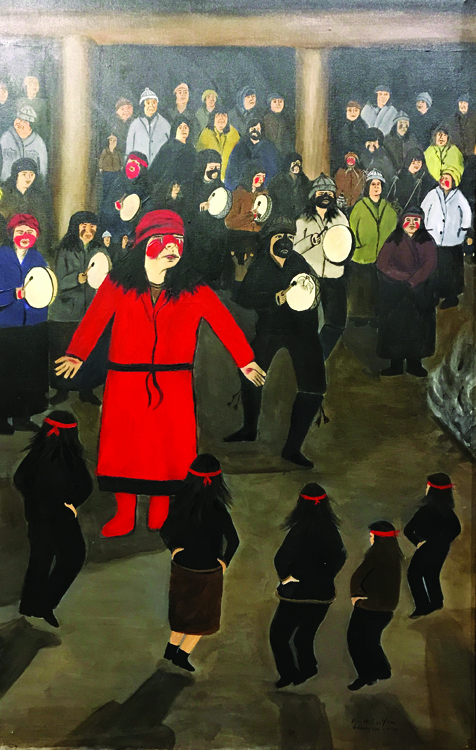 Included among the many elegant Salish artworks is a rare painting by Ron “Chadusqidub” Hilbert (Tulalip and Upper Skagit) depicting a ceremonial smokehouse dance from 1989. 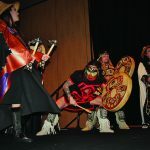 Western Washington Tribes and British Columbia First Nations of the Salish Sea came together to speak with one voice at the Tulalip Resort Casino’s Orca Ballroom on February 27. As one voice, the tribal leaders, activists, and caretakers of the environment spoke for the continued protection of the land and waters of our aboriginal homeland and the preservation of our culture. As brothers and sisters, they shared their culture and concerns for the endangered eco-region, and continued their dialogue on the need for strengthened environmental policies and practices in our ancestral homelands. Following the day’s seminars and presentations, attendees were treated to an evening filled with traditional song and dance. 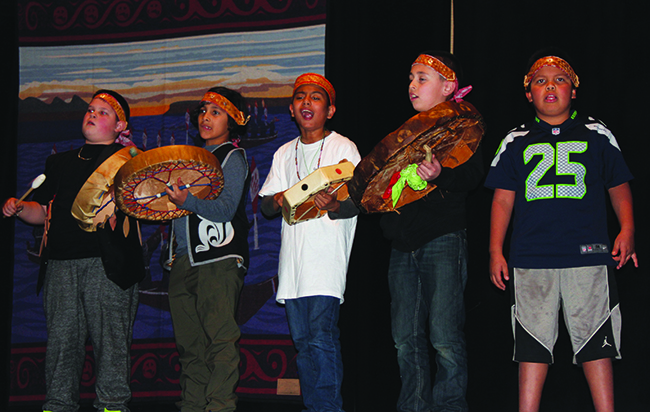 The next generation of Tulalip drummers, singers, and dancers opened, led by cultural specialist Chelsea Craig. 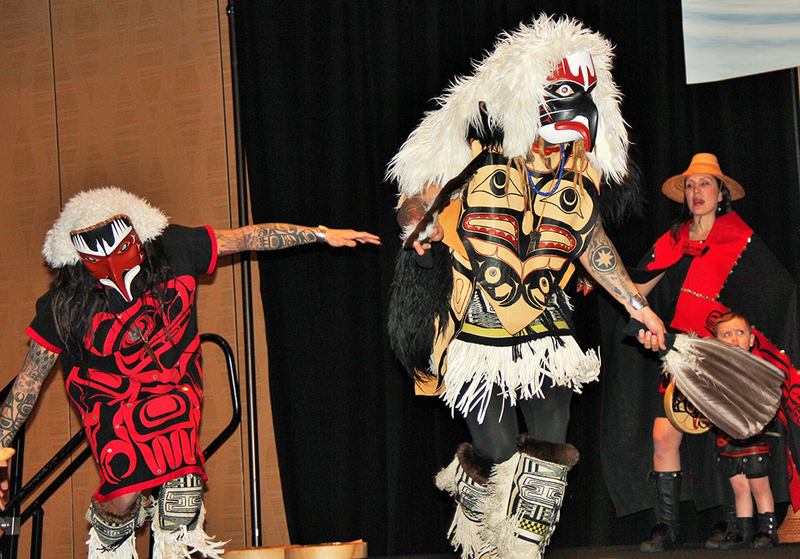 Succeeding the young and spirited Tulalip group was one of the top Native dance groups on the west coast, Git-Hoan. “We are Git-Hoan, the People of the Salmon. 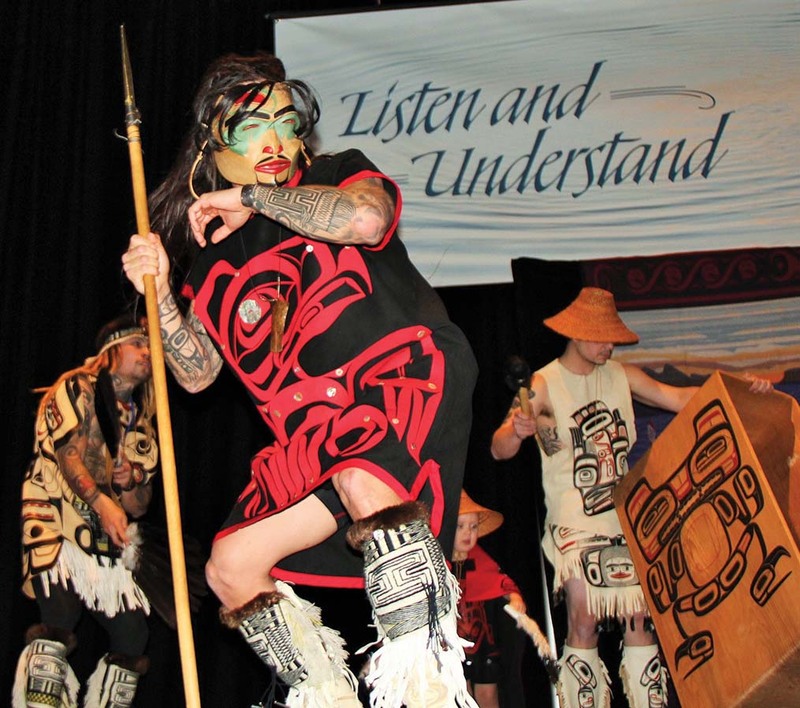 We are a makeup of Tsimshian, Haida, and Tlingit people from southeast Alaska and are proud to be in your territory to sing and dance for you,” stated group creator David Boxley, a renowned Tsimshian artist and carver. “What a beautiful place to dance. Thank you for allowing us to be here. Git-Hoan performed for nearly an hour to the marvel of gathering attendees. 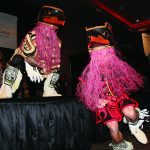 Included in their selection of dances was a brand new song debuted for the Coast Salish occasion. With the conclusion of the day’s events, Board of Director Theresa Sheldon shared her amazement in watching the performances by several Coast Salish tribes. 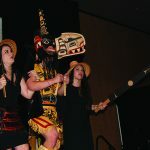 Leonard Forsman, Chairman of the Suquamish Tribe and presidential appointed Vice-Chairman of the Advisory Council on Historic Preservation, was the keynote speaker. The University of Washington has created a new seminar and workshop series sponsored by the College of Arts & Sciences, Office of Research, and the Burke Museum. 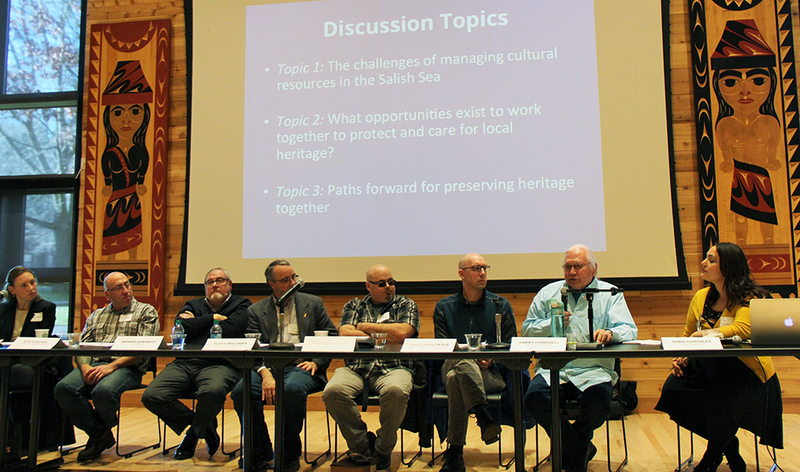 These two-hour luncheon events bring together tribal representatives, tribal historic preservation offices, representatives from local, state and federal agencies, and cultural resources managers to evaluate the contemporary needs and challenges of preserving heritage in the Salish Sea. The objective is to foster the development of collaborative approaches to heritage management and historic preservation that integrate the needs of these diverse stakeholders. On Thursday, January 12, the opening seminar of the four-part series, titled Collaborating on Heritage in the Puget Sound, was held at UW’s ωəɬəbʔαltxʷ Intellectual House. Taking place was a facilitated conversation with representatives from local tribes, the Department of Archaeology and Historic Preservation, UW Law, and the Washington State Department of Transportation. 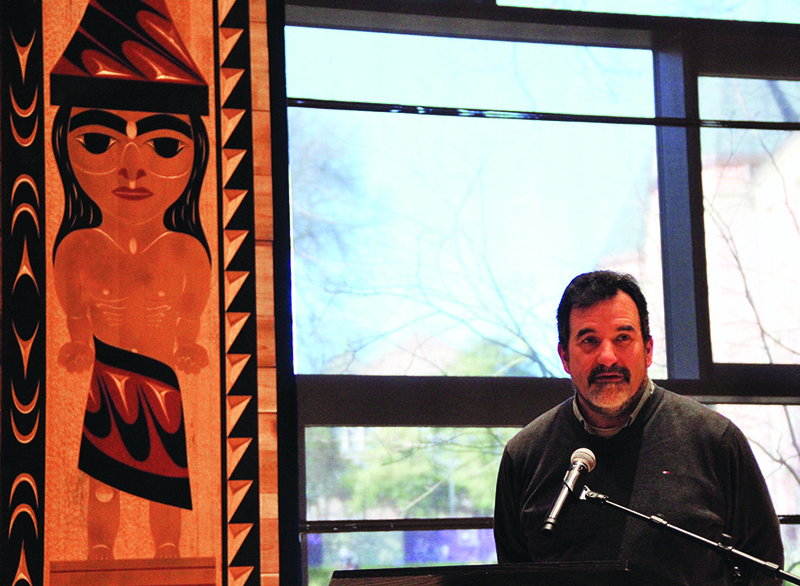 Leonard Forsman, Chairman of the Suquamish Tribe and presidential appointed Vice-Chairman of the Advisory Council on Historic Preservation, was the key-note speaker and gave a heartfelt opening address that connected with many in the room. The following is an excerpt of his speech that explains the important of cultural resources and sacred site protection to Native peoples and how these topics apply to Standing Rock. “Cultural resources has always been deep in my heart and remains a key pillar of my thinking as we move forward. There are a number of issues that face the tribes, from economic development to habitat protection to educating our children to justice and housing for our people. Many, many aspects of our tribal governments take into account the physical cultural resources unique to our respective nations and communities, as well as our spiritual culture. One topic that there’s been a lot of talk about recently is sacred site protection, especially in regards to Standing Rock. We know natural resources is vital as a part of the context for identifying a sacred site. We are hearing a lot that cultural practitioners are being asked to step in and explain those elements that essentially tell us why a place is important spiritually. The Standing Rock – DAPL protest is an example of this, where there are a lot of different factors and influences to the protest. There’s a very strong argument based on sacred site protection. This highlights the importance landscape has to us as Native people, that we have these ancestral connections to the land. Native American scholar John Mohawk (Seneca) defined culture as a learned means of survival in an environment. As tribes, our means of survival used to be finding what the need was within our community and then each member doing their part to fulfill that need. In thinking about opportunities and challenges of caring for heritage and protecting our culture in the Pacific Northwest, there is a glaring need to better understand one another. We have to work together to communicate and understand each other’s viewpoints, instead of making assumptions about one another. There are assumptions made about the tribes, about the government, about federal agencies, and seemingly everything in between. Some of these assumptions may be true, but a lot of them aren’t. We have to make sure that we talk to each other and feel safe in doing that, even if it means being blunt in order to express how we feel. In order to preserve the past together and continue protecting our cultural resources there must be an open dialogue that allows for questions and understanding. This UW workshop series is a promoter of such dialogue and looks to build upon all the knowledge shared and communicated by all those who attend. The next workshop in the series, Meaningful Collaboration and Indigenous Archaeologies, takes place on February 16 from 12:30 p.m. to 2:30 p.m. in the Suzzallo Allen Library (located on the UW campus). 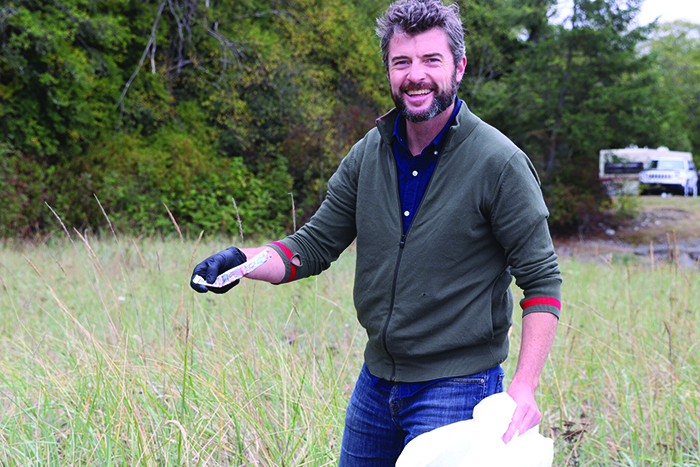 For more information please visit http://blogs.uw.edu/preserve. 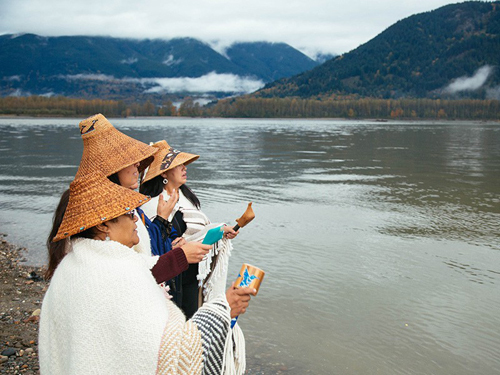 Members of the Tulalip Tribe sing along the banks of the Fraser River in Chilliwack, British Columbia, as part of a ceremony to honor the waters and marine life so integral to the Coast Salish way of life. Burnaby, British Columbia — An alliance of Northwest U.S. Treaty tribes, represented by Earthjustice, presented final arguments today against a proposed new tar sands pipeline in Canada. The TransMountain Pipeline Project, proposed by Texas oil giant Kinder Morgan, calls for tripling the amount of oil shipped from tar sands fields in Alberta from its present level of approximately 300,000 barrels per day to 890,000 barrels per day to the British Columbia coast. 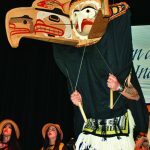 The Swinomish Indian Tribal Community, Tulalip Tribes, Suquamish Tribe and Lummi Nation joined Canadian First Nations, conservationists, the cities of Vancouver and Burnaby, and the Province of British Columbia in a historic effort to reject the pipeline proposal and protect the Salish Sea.The Northwest tribes are opposing the project as intervenors before Canada’s National Energy Board, the government body responsible for making a recommendation to the Canadian federal government on the future of the pipeline proposal. Today’s arguments before Canada’s National Energy Board represent a critical and final call to safeguard the Salish Sea from increased oil tanker traffic and a greater risk of oil spills. Experts have acknowledged that a serious oil spill would devastate an already-stressed marine environment and likely lead to collapses in the remaining salmon stocks, further contamination of shellfish beds, and extinction of southern resident killer whales. If approved, the TransMountain Pipeline would instigate an almost seven-fold increase in oil tankers moving through the shared waters of the Salish Sea, paving way for a possible increase in groundings, accidents, and oil spills. “The TransMountain Pipeline expansion threatens the ancient fishing grounds of the Suquamish Tribe. Increased traffic disrupts fishing and the real threat of oil spills puts the Salish Sea at an unreasonable risk. 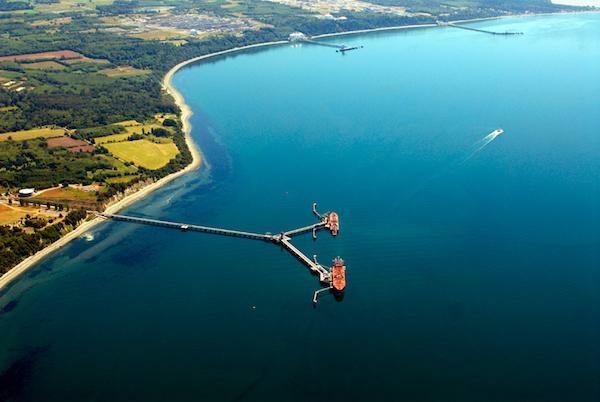 It is our duty as stewards to the Salish Sea to oppose this project,” said Suquamish Tribal Chairman Leonard Forsman. The proposed tar sands pipeline expansion is one of several projects that would dramatically increase the passage of tankers and bulk carriers through the Salish Sea on both sides of the U.S.-Canada border. In addition to oil, regulators in both countries are reviewing controversial proposals to export huge quantities of U.S. coal. Taken together, these projects would greatly increase the risk of oil spills and other accidents that threaten the Coast Salish economies and cultures. Sweetwater Nannauck, Director of Idle No More Washington. 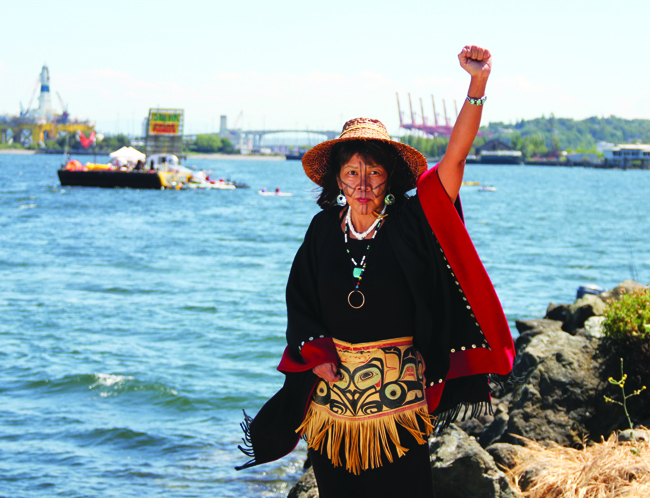 Last month, members of the Idle No More movement held a “Native Women Rising” rally at the Don Armeni Park in West Seattle. Activists joined in a circle for drumming and singing, and reminded those listening about the importance of the Alaskan wilderness soon to be drilled by Shell Oil’s drilling rig, called the Polar Pioneer. The hashtag #ShellNO was born as the Native led protests garnered local and national news attention. But who was responsible for coordinating the rally and bringing together activists, both Native and non-Native, to stand together in protest of Shell Oil Company? That would be Sweetwater Nannauck, Director of Idle No More Washington. 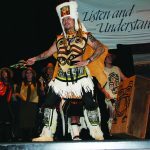 Sweetwater was kind enough to be interviewed by Tulalip News in order to help spread the message of being Idle No More to the Tulalip community. 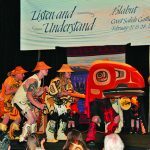 What is the impact when the Indigenous peoples of Canada, Alaska, and the Coast Salish peoples collaborate together? What is the meaning behind having an Idle No More rally titled Native Women Rising? What advice do you have for any Native person who wants to become involved with Idle No More? 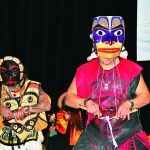 How do you plan to get Native youth to become active participants in Idle No More? What are your thoughts as they relate to oil drilling in the arctic and how that impacts our culture? Some argue that oil drilling is a necessary evil to sustain the modern day way of living. What is your response to that kind of thinking? There are many tribes and tribal members in the U.S. and Canada who yield great monetary profits from following in western type thinking. They’ve built tribal enterprises that are based on their casinos and because of this they refuse to take an active role in anything that could tarnish their image or result in lost profits. What is your message to them? For thousands of years, along the shorelines of the Salish Sea, the Lummi people have dug deep into the earth to harvest clams, oysters and mussels. We have set our reef nets between our canoes to catch salmon from the Salish Sea. For many of us, our most important education has been alongside our elders at the beach or on the water, learning firsthand by doing, and doing again, to understand the ways of our people and the history of our tribe. But even as we hold fast to traditions, we’ve also embraced changing times, new technology and the advanced training that’s needed to support a productive shellfish harvest. What we’ve learned through the years is that a skilled workforce — and a bountiful harvest — are possible if we make the right investments in training and education. In 1973, our tribe established the Lummi School of Aquaculture as a way to train a new generation of native technicians to staff the growing number of Indian-owned fish and shellfish hatcheries in the U.S. and Canada. 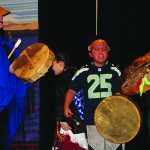 From this single-purpose school, a foundation was built for what later became the Lummi Community College that gave Pacific Northwest natives the opportunity to earn an associate’s degree. 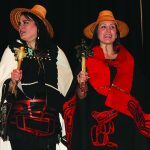 In 1989, in recognition of the changing and growing needs of students, the community college became Northwest Indian College. Today, the four-year college provides a high-quality post-secondary education for 1,064 students at our main campus on the Lummi reservation, plus six satellite campuses in Washington and Idaho. We offer bachelor and associate degrees, plus certificate programs in areas that include environmental science, tribal governance, native studies, hospitality and construction. At the heart of the Northwest Indian College is the understanding that as native people, we must provide for all levels of learning within our own community. According to the American Indian College Fund, fewer than 13 percent of American Indian and Alaska native students earn a college degree, compared to 28 percent of other racial groups. The reasons for this are complex, ranging from poverty and low rates of high school graduation, to students’ perceptions that college is out of reach academically, too far from home, or not aligned with their values and culture. One answer to this challenge is to provide an education for native students on the reservation, where they can have the support of their community and the comforts of home. At Lummi Nation, we know we have a responsibility to build our workforce and provide an education that is steeped in the values of our traditions and history. As a member of the larger community of Whatcom County and the Pacific Northwest, we’re also pleased to provide a degree to all students, regardless of whether they’re tribal members. We’ve done this, in part, by partnering with Western Washington University and Washington State University to provide an even broader learning experience for our students. Our strong focus on education is why we’ve been able to grow a small school for hatchery technicians into a college that serves more than 1,000 people looking to further their education and careers. I would love to see the day when the college becomes Salish Sea University, flying a flag printed with the Lummi-invented reef net, where students from across the nation and world come to learn. Pacific International Terminals proposes building an export terminal for the export of coal and other commodities, on Cherry Point near the Lummi Nation reservation. The site is approximately midway between the BP oil refinery — its docks are in the foreground — and the Alcoa Intalco Works aluminum smelter. Opponents fear the further industrialization of this area will harm an ecosystem that is struggling to survive. Coal trains are not the only threats to sacred sites and traditional hunting and fishing territory.First Nations in the U.S. and Canada that share the Salish Sea contend that increased ballast water discharges associated with the Gateway Pacific Terminal would introduce invasive species to the local marine environment; that increased rail and vessel activity would increase the risk of coal and oil spills, and that coal dust from the railway and terminal would affect the health of marine waters and nearby communities. But the proposed Gateway Pacific Terminal is only one of the projects that would bring increased rail and shipping activity to the Salish Sea. Also proposed: Expansion of the Kinder Morgan pipeline to Vancouver, B.C., and expansion of a coal, grain and container terminal at Delta, B.C. The Salish Sea is currently transited by an estimated 10,000 cargo ships and tankers en route to and from oil refineries and shipping ports. The George Washington University and Virginia Commonwealth University studied the potential risk for a large oil spill from increase in shipping and “an ever-changing vessel traffic mix” of cargo ships and tankers that would result from the three projects. The 2014 vessel traffic risk assessment was commissioned by the Puget Sound Partnership, a state agency charged with coordinating efforts to improve the health of Puget Sound by 2020. Concerns about coal dust and coal spills are bolstered by recent incidents in other communities. Oregon Public Broadcasting’s Ashley Ahearn reports that in 2009, a representative of BNSF Railway Company testified before a federal review board that 645 pounds of dust escapes from each coal train car during a 400-mile trip. But coal in transit can harm health and the environment in other ways. In December 2012, a ship crashed into a conveyor belt at Westshore Terminals in Vancouver, British Columbia, spilling 30 metric tons of coal into the sea. In January 2014, a 152-car coal train derailed in Burnaby, British Columbia; three cars spilled their loads, one of them into a protected waterway. Concerns about rail accidents in Washington state are shared by rail workers themselves. Members of the Sheet Metal Air Rail and Transportation Workers (SMART), have proposed new rules for hazardous material trains in response to the recent explosions of oil trains in Canada and North Dakota. House Bill 1809 and Senate Bill 5679 would require trains carrying hazardous materials to have one or two additional staff on board. Previously, Washington state mandated six-person crews. Today, some trains operate with only one or two people, according to SMART. “Our workers know how to run these trains safely, but the railroad refuses to provide adequate staffing, exposing the public and rail workers to death and injury,” said SMART legislative director Herb Krohn, a conductor and switchman on Washington’s rails, in announcing the bills. The measures have bipartisan support. HB 1809 is sponsored by 34 representatives and has been approved by the House Committee on Labor. Companion bill SB 5679, sponsored by 24 senators, is before the Senate Committee on Commerce & Labor. Photo courtesy of Mike Malleson. ANACORTES, Wash. — In a sea of bad news, some good news regarding whales on two fronts came out of the Pacific Whale Watch Association conference Monday in Anacortes. Government researchers said the four recent newborn orca could be the beginning of a trend, anticipated because the number of female Southern Resident Killer Whales at calf-bearing age is at its highest known levels. 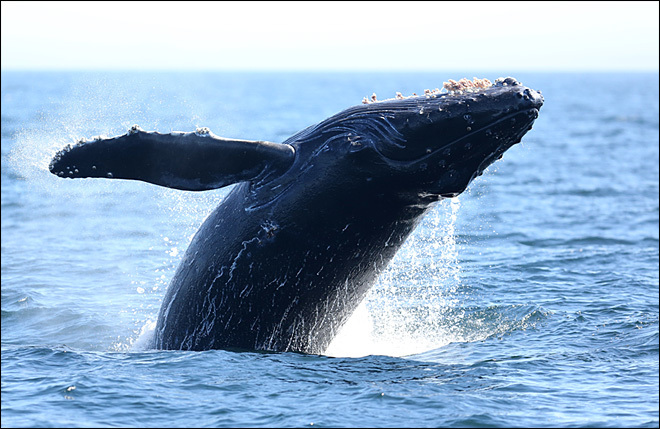 Additionally, the number of humpback whales in the Salish Sea has reached its highest documented level: 90 different humpbacks were photo identified in 2015, according to data unveiled Monday by photo ID expert Mark Malleson of Prince of Whales whale watch cruises. The Salish Sea includes Puget Sound, the Strait of Juan de Fuca and the San Juan Islands as well as British Columbia’s Gulf Islands and the Strait of Georgia. The name recognizes and pays tribute to the first inhabitants of the region, the Coast Salish. “The newborns are definitely an optimistic point that I’m really excited about,” said orca researcher Eric Ward of the National Oceanic and Atmospheric Administration. While some researchers believe southern resident Killer Whale females generally require a family structure to bear a surviving calf, Ward believes viable females are the most important factor. “We think now that based on the kind of age structure of the southern resident population there is more potential to produce calves than there ever has been in the past,” he said. After whalers nearly pushed humpback whales to extinction and killed roughly 1,000 in the Salish Sea, according to historical accounts discussed at the PWWA conference, they’ve made a dramatic rediscovery of Salish Sea habitat in recent years. New data from Malleson says humpbacks identified last year were three times more than were spotted just three years ago. Humpbacks were first spotted regularly returning to the Salish Sea about a decade ago. The good news doesn’t stop with whales. Andrew Trites of the University of British Columbia said all of the 11 marine mammals found in the Salish Sea are generally increasing in population. Seal populations are increasing at exponential rates so much so that they have been competing with killer whales for salmon, concerning some researchers. But others believe Harbor Seal populations are leveling off because they are a favorite food of meat-eating transient killer whales, whose numbers are also increasing. Trites and others are about to roll out a test attachment to about 20 seals that will measure whenever they eat salmon smolt, or young salmon. Researchers want to better understand just how many salmon smolt are being eaten each year by seals. “One reason we find that numbers oversell are doing so well is because maybe we have not done such a bad job after all of stewardship of the coastline and rivers that are spilling into the Salish Seal,” he said. Gray Whales are expected to arrive in the Salish Sea as early as next week. Humpbacks are due in July. And all three pods of Southern Resident Killer Whales should be in the Salish Sea by May. The last days of 2014 have brought glad tidings and great joy to those who follow and worry about the southern resident community of orcas (killer whales) that inhabit the Salish Sea, the inland waters of Washington and southern British Columbia. A newborn orca was discovered Tuesday looking “healthy and energetic” and being snuggled by its mother off South Pender Island, just over the border in B.C.’s Gulf Islands. The discovery was made by Ken Balcomb of the Center for Whale Research. The baby, christened J50, was born to 42-year-old J16 (Slick), who has produced five offspring, three living, with the oldest 23-year-old J26 (Mike). The birth of J50 raises the southern resident community population to 78. The southern residents were classified in 2005 under the Endangered Species Act at a time when the population of the great marine mammals had fallen to 78. Orcas are particular about their diet. They feed off chinook salmon, in a region where salmon stocks have declined due to factors ranging from habitat destruction to pollution to bad forest practices to overfishing. The orcas do not consume any of the millions of sockeye salmon that head for B.C.’s Fraser River each year through the Strait of Juan de Fuca and the Strait of Georgia between Vancouver Island and the B.C. mainland. “We wish they would,” joked Garrett. The region’s inland waters have two major populations of orcas. The northern resident community spends July through September in waters of Johnstone Strait off northern Vancouver Island. The orcas are renowned for rubbing against pebbles just offshore from the mouth of the Tsitika River near Alert Bay. The northern residents head north in the winter, presumably to southeast Alaska waters. The northern resident community totals about 250 orcas. The birth of J50, in a month when the southern residents have been seen in both the San Juans and Gulf Islands, puts the spotlight on a major decision pending in Canada. The giant Houston-based Kinder Morgan pipeline company wants to triple the capacity of the Trans-Mountain Pipeline, which transports oil from Alberta to a refinery in Burnaby, just east of Vancouver. The completed pipeline would carry more oil than the controversial Keystone XL pipeline designed to link Alberta oilfields to the U.S. Gulf Coast. The enlarged Trans-Mountain Pipeline would bring oil from Alberta’s vast tar sands project to the coast for export to Asia. If the Kinder Morgan project goes through, an estimated 30 tankers a month — up from four at the present time — would traverse Haro Strait, a middle point in habitat for the southern resident community and the marine boundary between the U.S. San Juan and Canada’s Gulf Islands. Both countries have national parks and monuments in the islands. A major environmental battle over Kinder Morgan is underway north of the border.